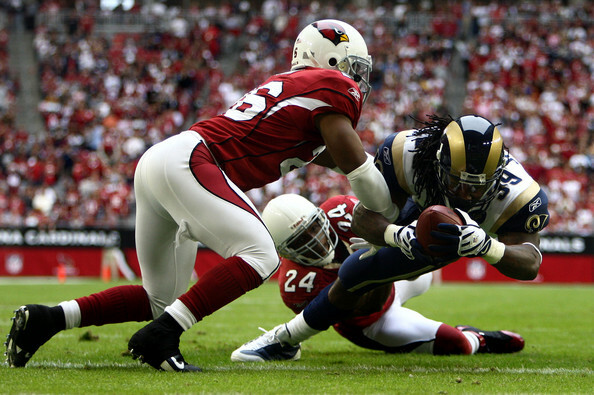 The Rams will attempt to get revenge for their first game of the season against the Arizona Cardinals that appear to be falling apart at the seams. The Rams will need to come out fast against Arizona, so that they fall apart like they did against San Francisco and so many other foes this season. This game is a must-win for the Rams if they are going to make the playoffs in 2010. Because of the “big” showdown between the Colts and Cowboys, the Rams are relegated to TV in and around St. Louis and in the state of Arizona. Check the map for updates. Rams Defensive Line – Chris Long sealed the win against Denver with two huge plays, but mostly the Rams defensive line did not make a big impact. They were also pushed around too much in the run game. The Rams will have to improve their pass rush to assist a beleaguered secondary. The Cardinals were able to torch the Rams secondary in previous meetings by using 3 and 4 WR sets. Pass rush from the defensive line will be even more important in those sets. Rams Offensive Line – The Rams offensive line has been solid in pass protection, but absolutely horrible in run blocking. RG Adam Goldberg needs to be rotated in and out of the game with John Greco, who is bigger and stronger. The Rams were able to power the passing game just with the threat of Steven Jackson against Denver, but will need more production from SJ to keep the offense moving forward against a better secondary. Big Plays – The Rams defense has become over the course of the season extremely susceptible to the big play. The Rams secondary has suffered some gaffes in coverage and in the previous meeting this season made Derek Anderson looks like Bart Starr. The Cardinals have weapons at WR in Larry Fitzgerald and Steve Breaston. Rams secondary will have to improve their coverage and tackling skills. Danario Alexander – I know it is bad to say this about a rookie who hasn’t even played 6 games in the NFL in his career, but the Rams offense is not the same without Alexander. His health over the rest of the season is the key to the Rams offense out-performing their estimates. Offensive Explosion – The Rams beat up on the bad Denver defense for 36 points, can they keep up that kind of production against a better defense? Arizona Offense – The Cardinals have the second worst offense in the league according to Football Outsiders DVOA. 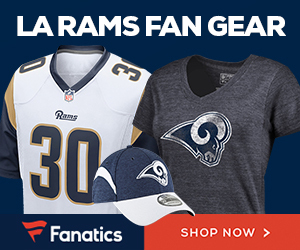 Can the Rams defense bounce back against a bad offense which has playmakers? The key will be frustrating Derek Anderson (their weakest link on offense) into bad throws.